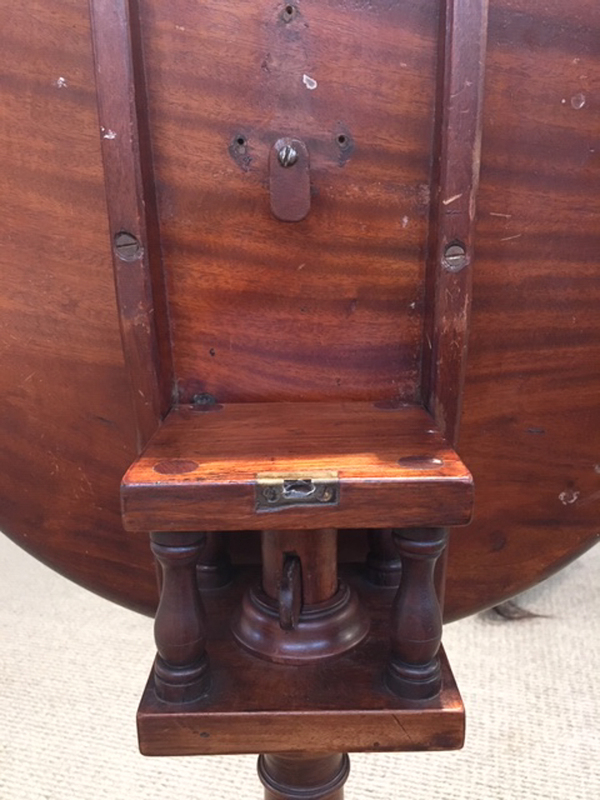 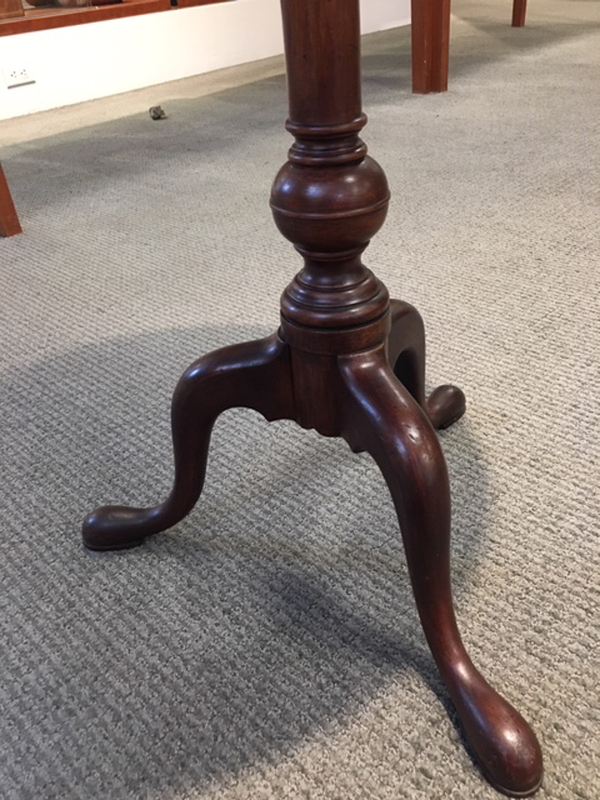 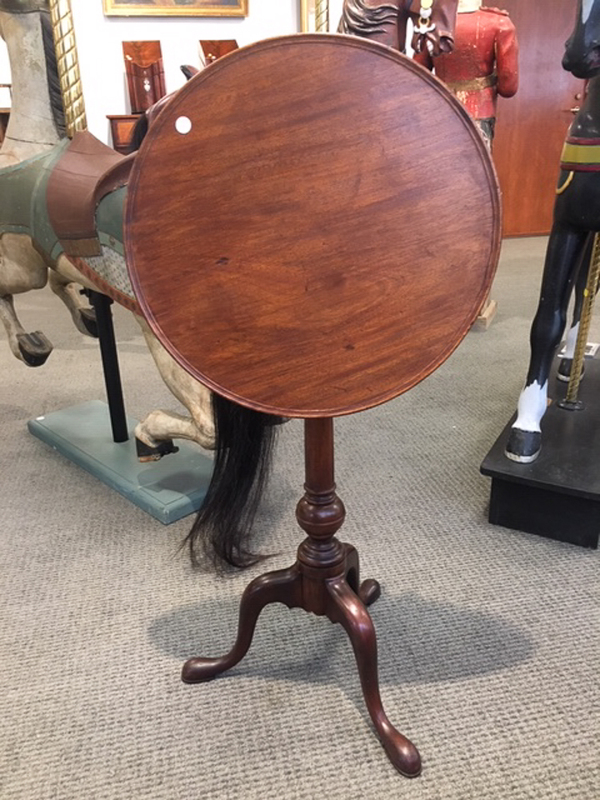 Mahogany Candlestand, Philadelphia area, c. 1760-80, the circular dished top above a turned post with turned ball, on a tripod base of cabriole legs ending in pad feet on platforms, ht. 28 1/4, dia. 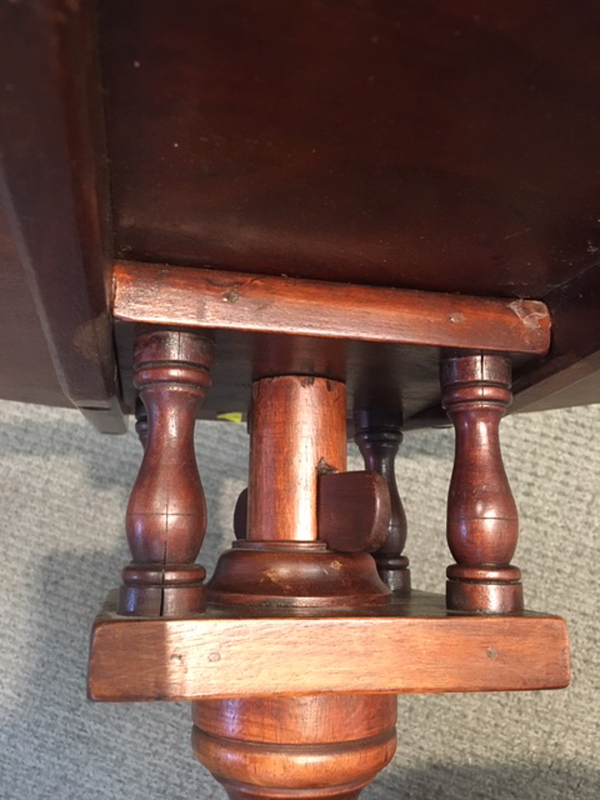 19 in. 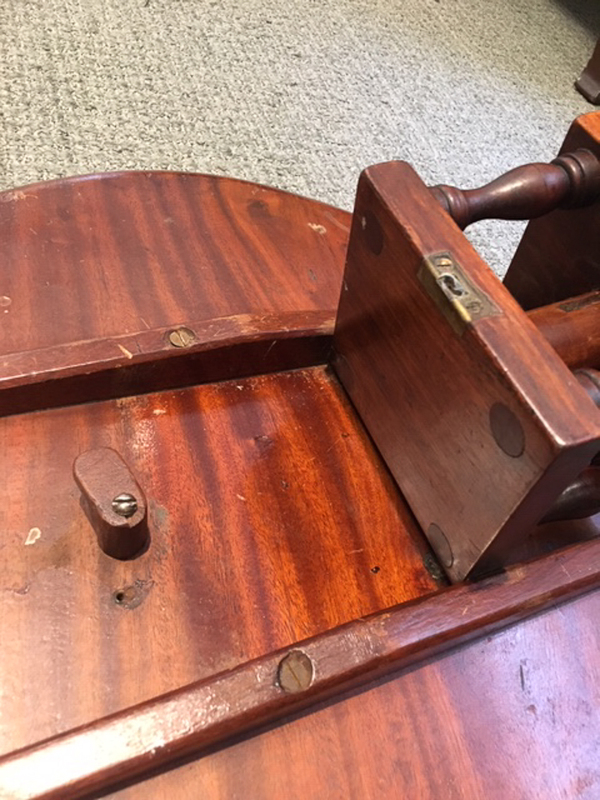 original brass catch/latch replaced by swiveling wood latch. 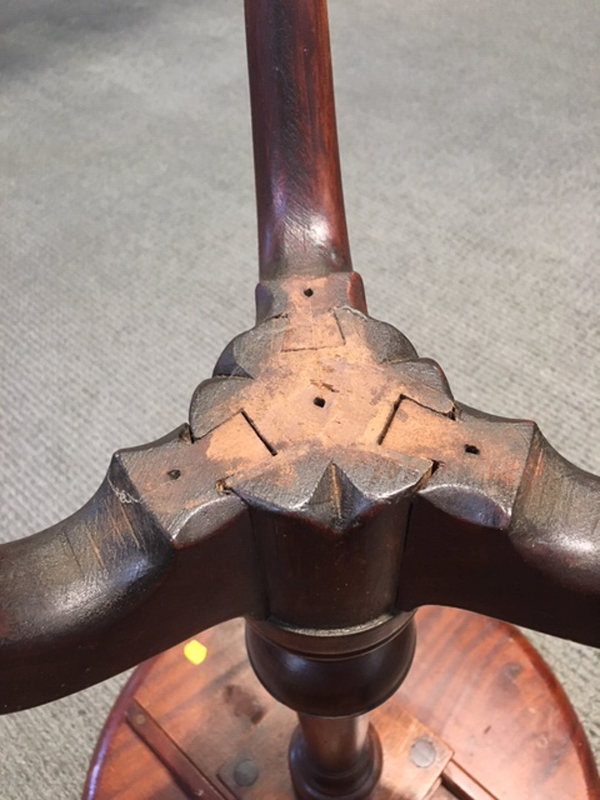 Likely metal plate missing from underside of post. 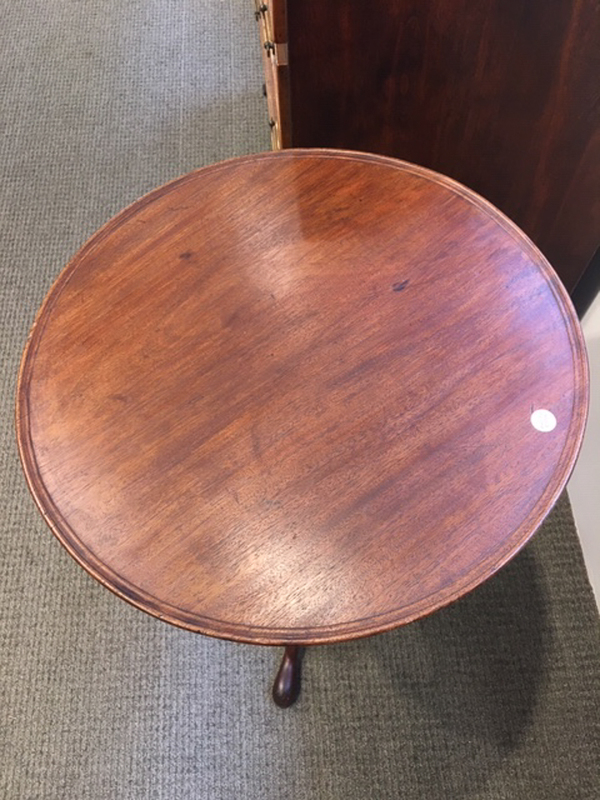 refinished.